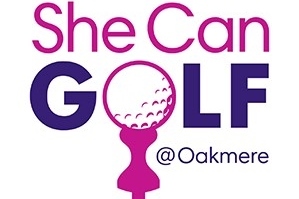 SheCanGolf is a ladies social and business group which encourages the take up of ladies golf for health, fitness and well-being. SheCanGolf is a fun and relaxed group ‘fore!’ girls, women and family groups who are beginning or returning to golf. This friendly and social golf group, provides flexible, affordable and weekly coaching times with our PGA Golf Professional, Jamie Jarvis. Regular golf taster days – including a glass of Prosecco! A fabulous calendar of events to enjoy throughout the year, both on and off the course! Come and join us….. ‘Get into Golf!’ at Oakmere! Fun & competitive ‘friendlies’ Golf & spa breaks More than just golf @ SheCanGolf! Oakmere overseas trip to Almenara Golf & Country Club, Sotogrande.